Vacation. Conferences. Holiday trips to see family. How many promising new habits and routines have I buried in those seemingly short disruptions to my daily life? Even just two or three days can reset old patterns, in eating, exercising, and so much else, in ways that can feel frustrating and discouraging. But when I was faced with the prospect of turning down a plum opportunity at a well-known writing conference or giving up on an important bucket list item very nearly in reach, my very first Olympic length triathlon, I knew I had to try to make them both work. 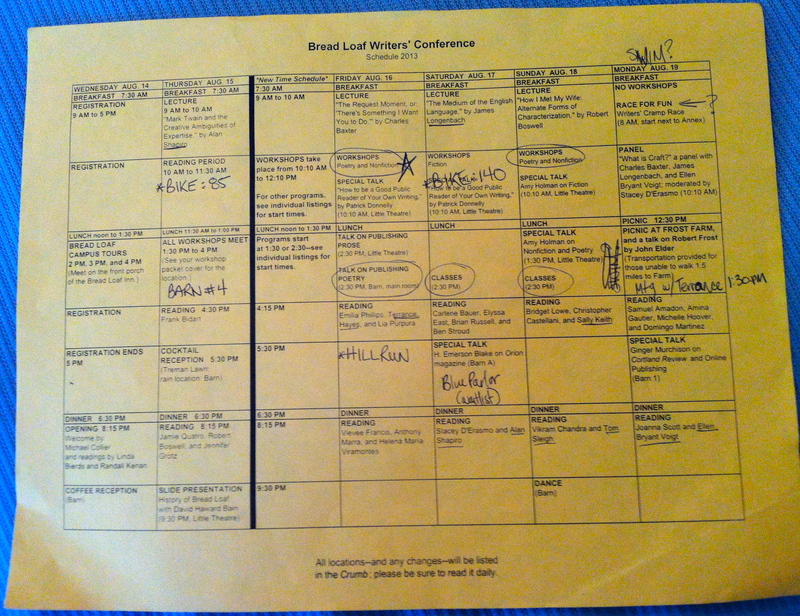 The timing made letting up a bit on my training impossible: the race is two weeks from my return from the conference. And yet, as I packed all the gear for all three sports, I knew what I was trying to do wasn’t necessarily possible or even particularly wise. A few days in, I’m still in that space, but I’ve learned a few things that strike me as helpful enough that they seem worth passing along, as I have other thoughts along the way. 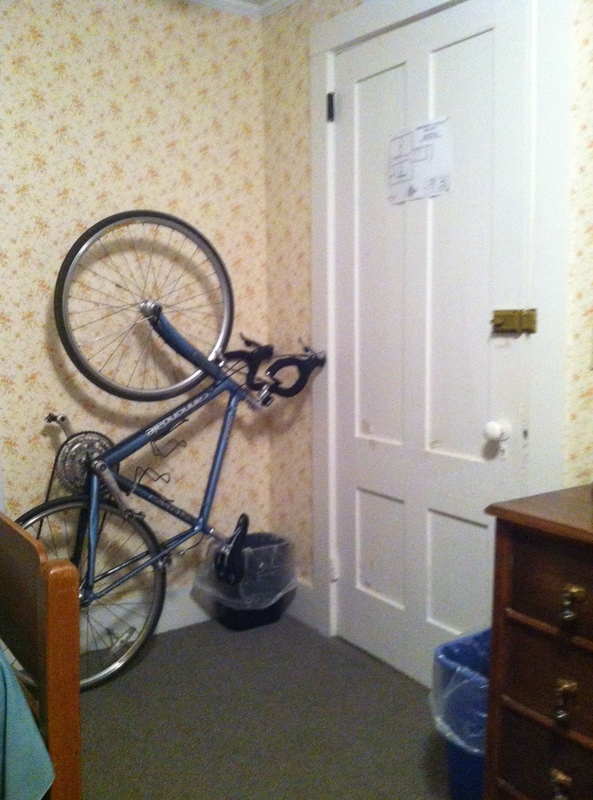 Finding space to store my bike in our quaint dorm room was the first challenge. I’m glad I’m not a larger rider! 1. Pack like you’re seriously going to exercise while you’re away. My husband actually laughed when he saw the pile of stuff I was packing and I suppose I could have packed lighter. But pursuing three sports takes a good bit of gear and somehow just packing it all is a step in the right direction. Maybe it’s the thought of dragging all this gear to Vermont and jigsawing my bike into the quaint dorm space I’m sharing, only to take one ride the whole time. Or maybe it’s just making it convenient enough, by having all the stuff I would need, that I don’t have to expend a lot of extra energy to make it happen. It’s probably some combination of both, but either way, just packing like I mean business has helped it actually happen. 2. Make sure the rest of your habits are working alongside your goals. You know the stuff I’m talking about: sleep, food, alcohol… In my case this has meant some tougher decisions, but I think even small decisions help here. If you know that during vacation your most predicable time to run/bike/swim is in the morning or late in the evening or right in the middle of the day, then make sure your habits are all working to help support that. That’s not to say, you can’t let loose and enjoy yourself a bit, but only to suggest that you don’t actively work against your own intentions. I try to be mindful of how everything works together and then make my moment to moment decisions holding everything in balance as best I can. 3. Scout out the place your headed and get excited about bike trails, lakes, or running routes. This might not get everyone going, but I’ve spent the last couple of weeks getting psyched about the hill training possibilities of Vermont. Other locales have other draws: runs on the beach or through old interesting neighborhoods, cycling along lengthly, well-kept bike trails or small New England roads, swimming in warm clear ocean or crisp secluded lakes. Wherever you’re going, there’s liable to be some selling point that you can work into your exercise plans that will make them feel more fun and vacation-like. 4. Find like-minded people (or at least recruit a support network). I was ridiculously excited to see a posting at the conference from someone who was looking for other swimmers. As I mentioned in a previous post, having a group to share your enjoyment and give you little nudges forward is hugely helpful. Often part of the disruption that happens when you leave for vacation is leaving the network of people that helps make it all happen. So finding a temporary community, whether that’s a traveling partner or just the guy down the hall that you notice in running clothes, can support follow through. If that’s not possible (or the idea of approaching the guy in running shorts is just too weird), I’ve also recruited travel partners or family members just to help me hold free space in my day. Simply having someone who’s on your team to make sure that time is open for you to follow through on your intentions can make all the difference. Can’t find the time for an hour run? Take the opportunity for a half hour run, rather than give up all together. Though I’m trying to keep up my intensity, the writer’s conference schedule is pretty packed, so I’m finding myself working with the time I can find in slightly more intense ways. (Did I mention hills?) Even if you’re not training for something, keeping your expectations real can prevent the vicious cycle of self blame and disappointment that can completely sideline the best of intentions. Especially if you’re one to quit if you’ve missed a few workouts (been there! ), make sure you manage your expectations in a way that will keep you on track long term. 6. Don’t forget all that other stuff! All of the things you’ve put into motion to help you along: setting goals, taking rest days, rewarding yourself, all the stuff I’ve talked about before and plenty of other good stuff I haven’t? Don’t forget about all that! You might even want to add an extra recovery day or make the reward for working out that week particularly enticing. For me that’s meant finding the time to pull together this blog post, since engaging here has become a part of what makes it all work for me. Whatever you’ve learned helps you in this season, don’t take a break from it–it’s helping you! What helps you stay on track while you’re traveling? Share your tips and tricks in a comment below! 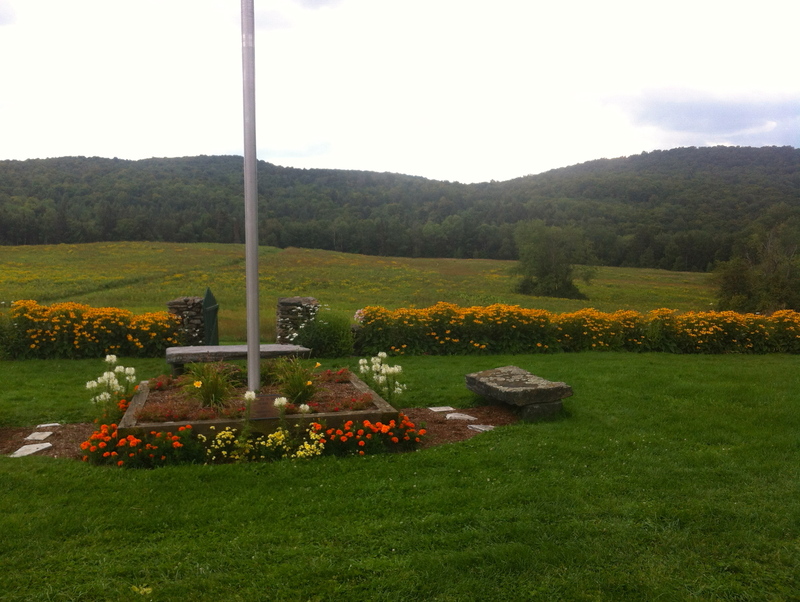 Posted on August 17, 2013 September 21, 2018 by egcharismollingPosted in The Advice ColumnTagged advice, cycling, Physical exercise, race training, running, swimming, travel, Vermont.